It is often strange how and where you come across references to places or people. 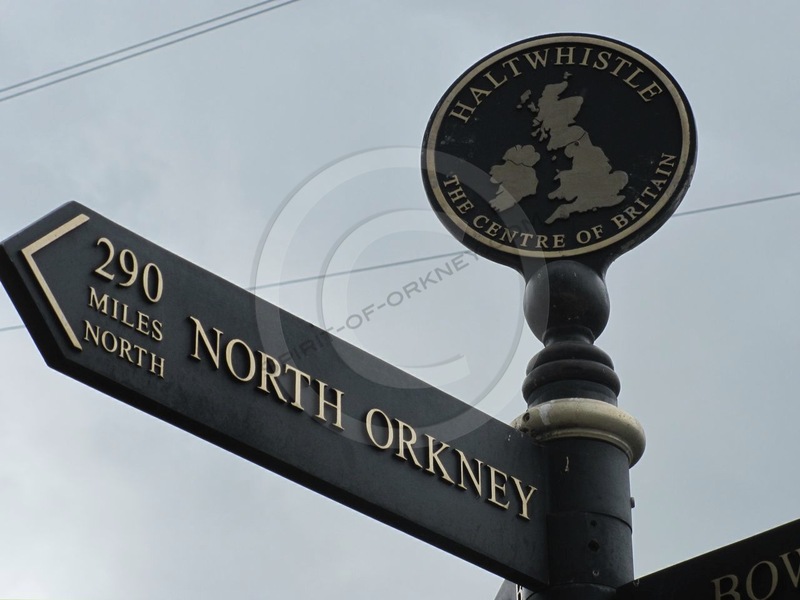 Standing proud in a north of England town is a fingerpost, celebrating that north Orkney is only 290 miles away. The town in question in called Haltwhistle and is situated about a third of the way between Carlisle and Newcastle, just off the A69 in Northumberland. Haltwhistle boasts that it is the centre of Britain. But this no doubt this depends on where you measure to and from. With Hadrian’s Wall being only three miles away the area is popular with tourists, especially during the peak summer months. The town is also popular with walkers and cyclists as many cross country routes, such as the Route 72 cycle way, pass through the area. 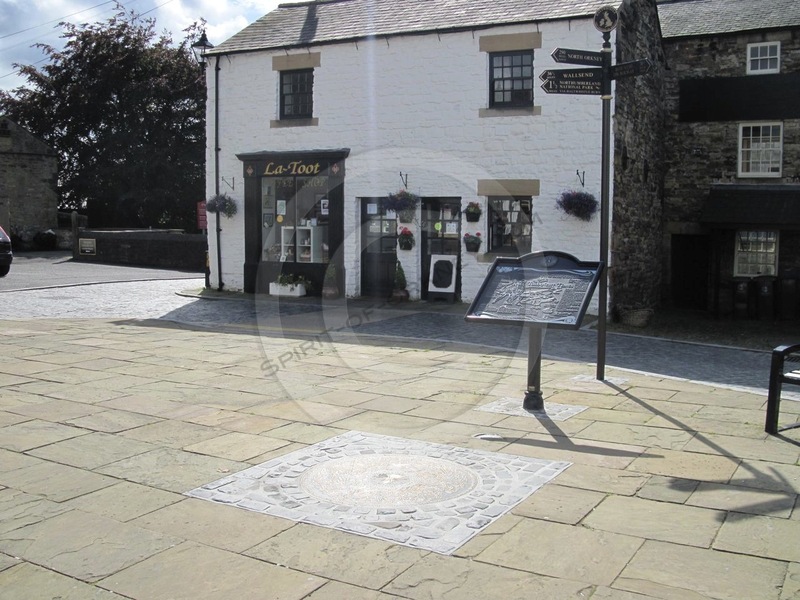 In the centre of the town in the old market area is a circular 1m wide bronze disc embedded into the stone flagged pavement. It contains images of the surrounding area and reflects a number of interpretation panels to be found around the town. This sign made us wonder how many walkers, cyclists or just general holiday makers thought of going to Orkney as a result of seeing this sign. Let us know your story via the comments area below.